A legal judgment could force Iowa schools to change how they determine which students qualify for special education, potentially allowing thousands of more children to qualify for services, advocates say. ASK is Offering Three New Part Time Positions! ASK Resource Center is seeking qualified candidates to fill three part-time positions! Interested candidates are asked to submit a cover letter, resume and writing sample to info@askresource.org by Monday, July 31, 2017. Writing samples should be no more than one page in length, single spaced, with 1” margins and 12 pt. font, and should answer the following question: Why do you want to work for ASK? Questions about the positions can be directed to Ashley Gill at ashley@askresource.org or by calling (515) 243-1713 or toll-free at (800) 450-8667. 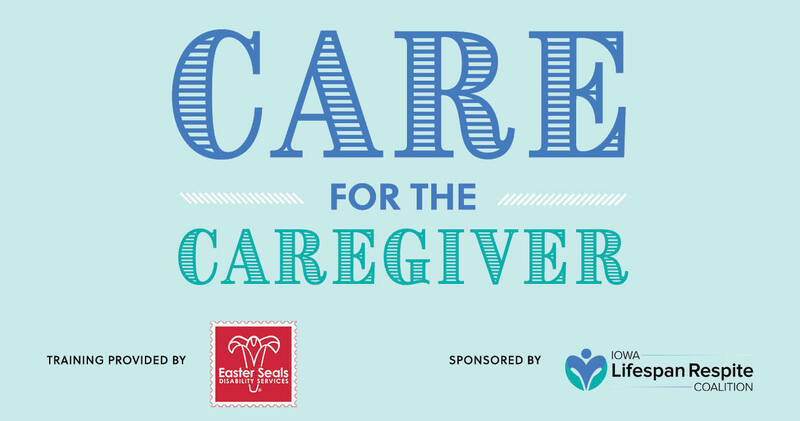 Easter Seals Iowa Assistive Technology Team members will facilitate a two-hour group training session for caregivers; the training is conveniently offered in two locations in July and August. Partners in Family Development is partnering with Northwestern University in the Mothers and Babies Research Study. The purpose of the study is to learn how home visiting programs have an impact on helping pregnant women manage stress and reduce signs of depression. Study participants are required to complete three surveys, either by phone or online, and will receive $60 in gift cards for participating. Please contact Jovanka Westbrook with the Parents As Teachers Program at 515-962-1020 if you are interested in participating! 27th Annual ADA Celebration in Iowa City this Saturday! It's time for the 27th annual celebration of the Americans with Disabilities Act! Celebrate this Saturday, July 22 on the Ped Mall in Downtown Iowa City from 10:00 am to noon. Medicaid and CHIP cover 44% of children with special health care needs, providing access to a broad range of medical and long-term care services that enable many to live at home with their families and making coverage affordable. We are collecting and sharing stories from families from around the country, who, like ours, rely on access to affordable, quality healthcare to keep our children healthy. Did someone share this email with you? Sign up to receive our emails!